At the turn of the year it was rumored that Apple could be planning on developing an iPhone 7 model that offers a huge 256GB internal storage to those opting to purchase it. At the time, it was largely dismissed as being entirely speculative, with no more thought being given to it. 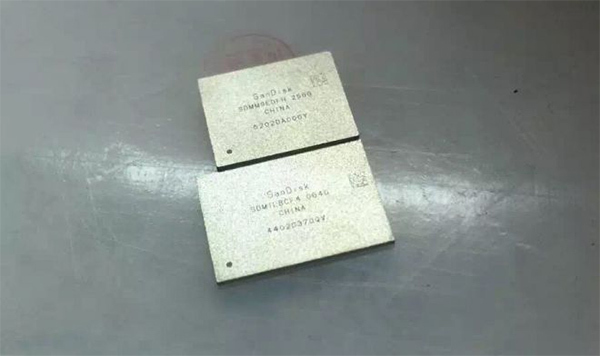 Now however, a new set of leaked photos have reignited that fire by showing off a SanDisk 256GB NAND flash memory chip that could potentially be used to offer this level of storage in iPhone 7 Plus. A partnership between Apple and SanDisk wouldn’t be anything out of the ordinary. The Cupertino-based company has previously utilized the manufacturing expertise and product knowledge of SanDisk to provide the internal storage on a number of iPhone models. The iPhone 5, iPhone 6, and iPhone 6 Plus, all shipped with SanDisk storage chips up to 64GB. Apple has also used NAND flash chips from additional companies, like Samsung, SK Hynix, and Toshiba. One of the interesting things to note from the leaked photos, which also makes this speculation a lot more believable this time around, is that SanDisk has managed to significantly reduce the size of the new 256GB NAND flash storage chip to make it even smaller than its 64GB counterpart that Apple has previously used. Apple’s iPhone 7/ 7 Plus is expected to be approximately 1mm thinner than the current iPhone 6s and iPhone 6s Plus models, which ties in nicely with the size reductions made by SanDisk with its 256GB chip, and definitely makes this a viable storage solution for the next-generation iPhone. Apple is widely expected to launch the new 4-inch iPhone SE this coming March 21, which will be offered with an internal 16GB or 64GB of storage. It’s unclear if the availability of that mid-range device will push the company to take the iPhone 7 Plus to the next level by doing away with the base 16GB version, and offering consumers access to 32GB, 64GB, 128GB, and 256GB models. If that does happen, we would hope that Apple would honor the existing price points to ensure that the devices are affordable for as many people as possible. 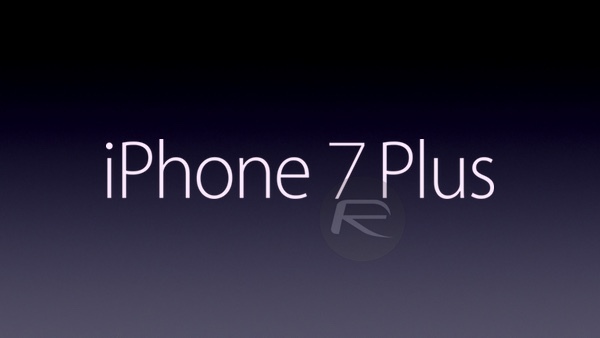 In addition to potentially shipping with a 256GB internal storage and a hefty 3,100mAh battery, the iPhone 7 Plus is expected to come with a slight thinner form-factor, an integrated Smart Connector for connectivity with additional accessories, redesigned antenna lines, dual-lens camera, and a potential dual-speaker system that would utilize the space left by the removal of the iconic 3.5mm headphone jack. Why get them from Sandisk when Apple can buy them cheaper from Samsun–OH YEAH, THAT’S RIGHT! HA HA HA! Liking your own post is kinda sad… just thought you should know.